Obituary for Michael "Bronc" Andrew Ward | Johnson Funeral Home and Monument Co., Inc.
Memorial services for Michael Andrew “Bronc” Ward, 55, of Ramona, were held Friday, November 30, 2018 at First Baptist Church in Ramona, OK. Pastor Kevin Baker officiated and burial was in Ramona Cemetery in Ramona, OK.
Michael was born January 14, 1963 in Bartlesville, OK to Michael Curtis and Paulette (Jordan) Ward. He passed away November 27, 2018 in Ramona, OK. He is survived by his son, Dillon Ward, daughter, Skylar Ward; step-son, Seth Flippo and wife, Destiny; step-daughter, Kayla Webb; step-grandchildren, Laynie Flippo and Lylia Cook; brother, Rodney Ward and wife, Laura; nephew, Luke Ward; niece, Sarah Ward; aunt, Kenna Moore; and many other relatives and friends. Bronc was born and raised in Ramona, OK and attended Caney Valley schools and graduated high school in 1981. He was captain of the football team and played as linebacker and center. He also enjoyed baseball and played basketball. He really enjoyed watching his kids play football, basketball and track. After graduating high school he worked as a roughneck in the oil fields of Western Oklahoma. He went on to graduate from Northeastern State University in Tahlequah, OK in 1987 with a Bachelor of Science Degree. Soon after college he went to work for Williams Pipeline, which took him to Missouri, Ponca City and eventually Tulsa. When Magellan took over Williams he continued his career as a marketing manager until he could no longer work. He was an avid hunter and fisherman and traveled the country on trophy hunts. 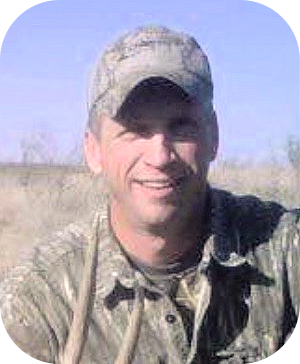 He enjoyed hunting with his kids and friends. He was also an avid baseball fan, specifically the Cubs, and winning the World Series was a highlight in his life. He even attended a Cubs game in Chicago last summer with his brother, daughter and nephew. He loved raising cattle and working in his garden and just generally loved being outside. He pastored churches in Vera, Collinsville and elsewhere. In summary, he loved his church, he loved his farm and most of all, he loved his family. He was preceded in death by his father, Mike C. Ward; mother, Paulette Ward, and grandparents, Cody and Jackie Ward, and Buck and Opal Jordan. In lieu of flowers, donations may be made to the Paulette and Michael Ward Scholarship Fund at American Bank of Oklahoma, 99 Caney Valley Place, Ramona, OK 74061.